This album features 14 of Tom's favorite tunes recorded at Mobius Music in San Francisco. 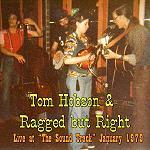 5 original songs by Tom Hobson are also featured on this CD! Anyplace I Hang My Hat Is Home (Mercer-Arlen) 3:41 Click here for MP3 audio! Only $15 plus $2.50 s&h email to use check or money order or click the "Buy Now" button to use your credit card. This album features 24 songs including 12 of his originals! 23. Closing Theme - Tom Hobson Click here for MP3 audio! Green Door Click here for MP3 audio! Only $10 plus $2.50 s&h email to use check or money order or click the "Buy Now" button to use your credit card. as well as a very interesting interview. Here is a chance to hear Tom talk about the songs he loved. Castleford Ladies Magic Circle Click here for MP3 audio! Only $7.50 plus $2.50 s&h email to use check or money order or click the "Buy Now" button to use your credit card. 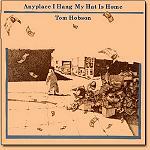 is a rare recording of an original song by Tom Hobson expressing his love for his native state. We will happily combine and discount shipping costs on multiple orders. Please email your request and you will receive a PayPal request for the total. If you would like to pay by check or money order, please email the details of your order. 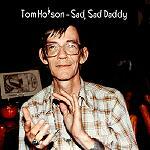 Thanks for enjoying Tom Hobson! Quah! featuring Jorma Kaukonen and Tom Hobson has been re-issued with additional tracks from Tom Hobson! Please visit the websites below for more about Tom Hobson!